The National Museum of Dance was established in 1986 and is located in the former Washington Bathhouse of the Saratoga Spa State Park. This historic venue features beautiful carved stone and is in the Saratoga Spa State Park. 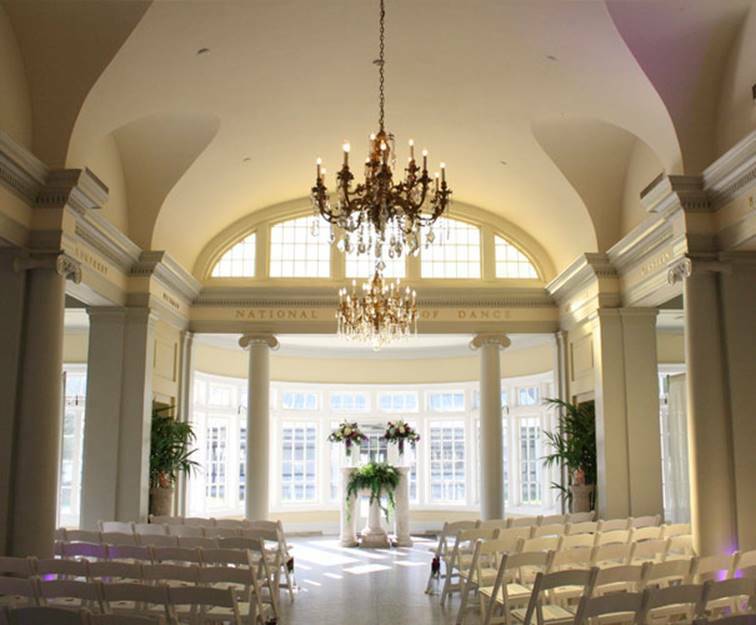 The Museum of Dance features beautiful classical architecture which creates an unforgettable ambiance for your event. The gorgeous art galleries are dedicated to telling the story of dance which provides a unique and meaningful backdrop to your event. The National Museum of Dance also allows for outdoor events in the private courtyard This has a great space for a tent wedding and offers all the picturesque beauty of the Saratoga Spa State Park. There is also a kitchen on site and allows clients to bring in their choice of caterer. The museum is located right in the heart of Saratoga Springs and is located near many lodging options for your out of town guests. When you first enter the National Museum of Dance, you are greeted by a stunning white stone foyer. To soften the stone and create a romantic look we feature our signature chiffon drapery and uplighting (in the color of your choice!). 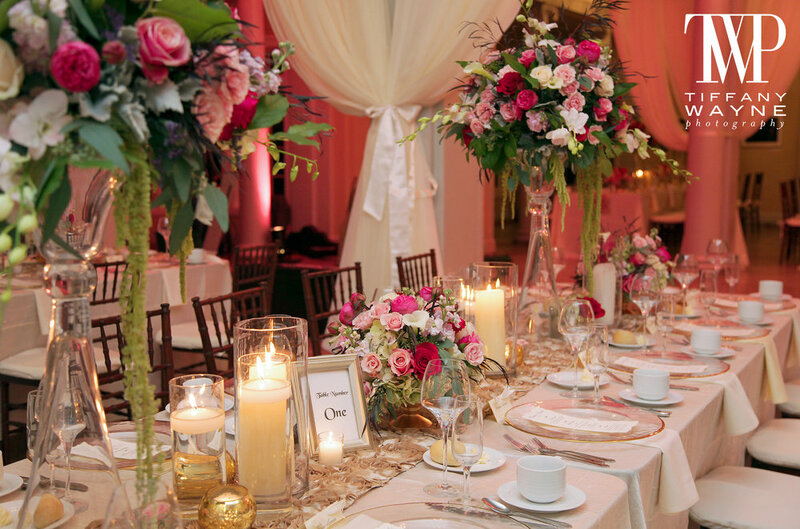 If your wedding reception is being held inside, the drapery can also be used to create separate ceremony and reception spaces. Planning your next event at the National Museum of Dance? Contact us today to start your #TotalEventsTransformation!